Virgin Founder and adventurer Sir Richard Branson has dyslexia and ADHD—but that has not stopped him from building a major record label, owning a large airline, sending tourists into space or building an underwater plane. 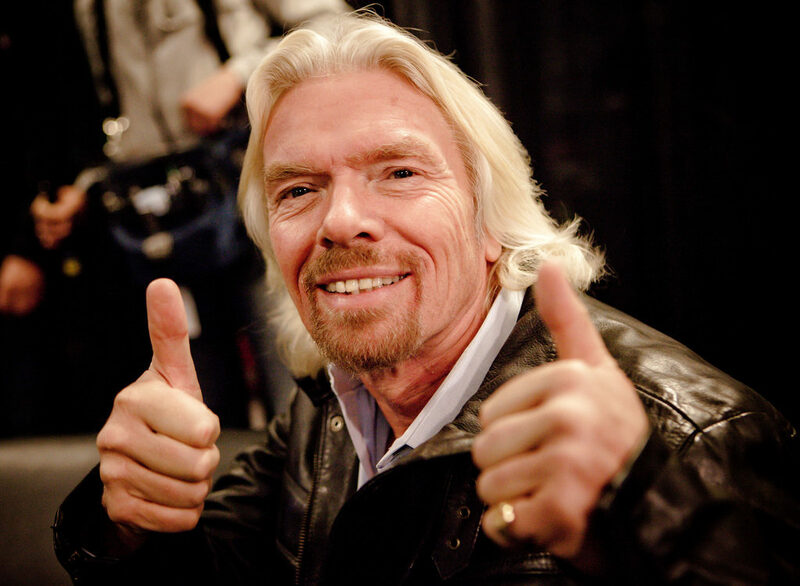 Branson is living proof of the statistic reported in Psychology Today, that people with ADHD are 300% more likely to start their own company—he started up his first company at the age of 16. John T. Chambers, CEO of Cisco Systems. Ingvar Kamprad, Swedish founder and chairman of IKEA stores, states he adapted the inner workings of his business to compensate for his ADHD and dyslexia. David Neeleman founder and CEO of Jet Blue Airways. Paul Orfalea the founder and chairperson of Kinko’s. Charles Schwab the founder, chairperson, and CEO of the Charles Schwab Corporation, the largest brokerage firm in the U.S.
Psychiatrist Ned Hallowell has written that people with ADHD are natural entrepreneurs. He has said he sees the condition not as a disorder, but as an advantage. The reason: Individuals with ADHD possess innate energy, grit, creativity, originality, and insight. And these are primary ingredients of entrepreneurship. Get an ADHD coach and a business mentor — ADHD tendencies can be balanced by the advice of a wise mentor and the guidance an ADHD coach trained to help the entrepreneur set priorities, keep focused and stay on task. Focus on one business at a time — Launching a business takes sustained and concentrated effort for a period of time. Maintaining focus and avoiding unnecessary distractions are essential to success.. Build each business to a point of sustainability — Eventually, the business you grow will reach a point at which the ADHD entrepreneur can sell out, hire leaders and limit their involvement. Automate the business with systems and processes — Your business can thrive if you’ve set it up for success. Systems and processes are crucial. Outsource the business operations and management — Hire reliable and capable personnel to run the business for you. Be a serial entrepreneur — Allow enough freedom to engage in a wide variety of other businesses. This is where ADHD tendencies can reap big rewards. Manage an empire of businesses — Once the ADHD entrepreneur has launched a dozen or so businesses, they can indulge in whatever strikes their fancy and act on insights. Sir Richard Branson has applied all of these strategies in his own career as an entrepreneur. Since launching Virgin Records in 1973, he has gone on to build Virgin Group which holds more than 200 companies in more than 30 countries and is worth over $5 billion.